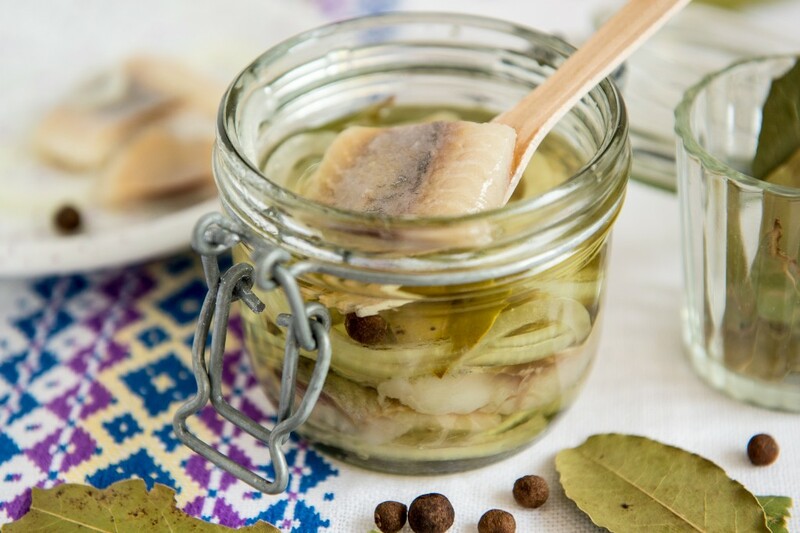 Though Warsaw is not located by the sea, herring has always been a local delicacy. It is served in many different ways, consumed in times of fast or as an ordinary daily meal. The best herring is served in oil. It is also the best thing to chase a shot of vodka with. This delicate pork is cooked with vegetables and then left to set in an aromatic jelly. It is served with a touch of vinegar and a slice of bread. Order the dish as a small entree or as a starter to begin your Warsaw feast. Not a bad vodka chaser either. 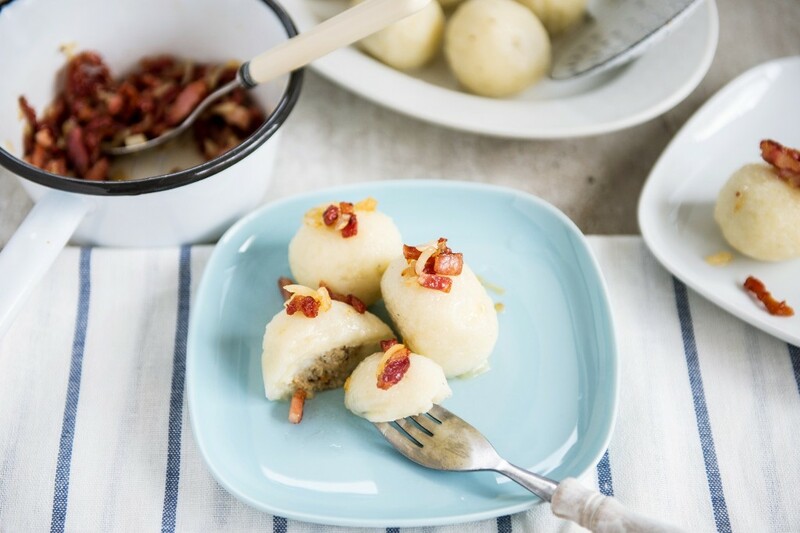 Every Varsovian knows the taste of these balls of potato dough sprinkled with pork scratchings and fried onion. 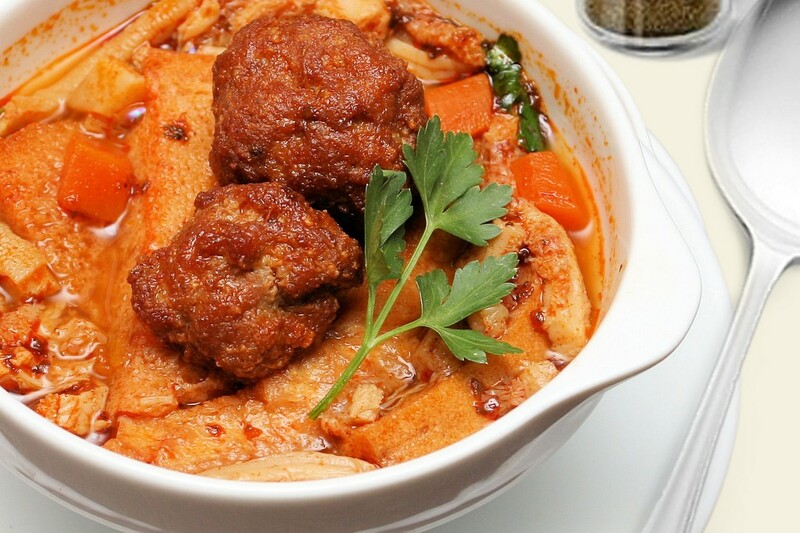 This is a true people’s dish, once famous in the Praga district of Warsaw. Supposedly, the best pyzy were sold in the famous Różycki Market. Have a taste – with either meat filling or just plain. 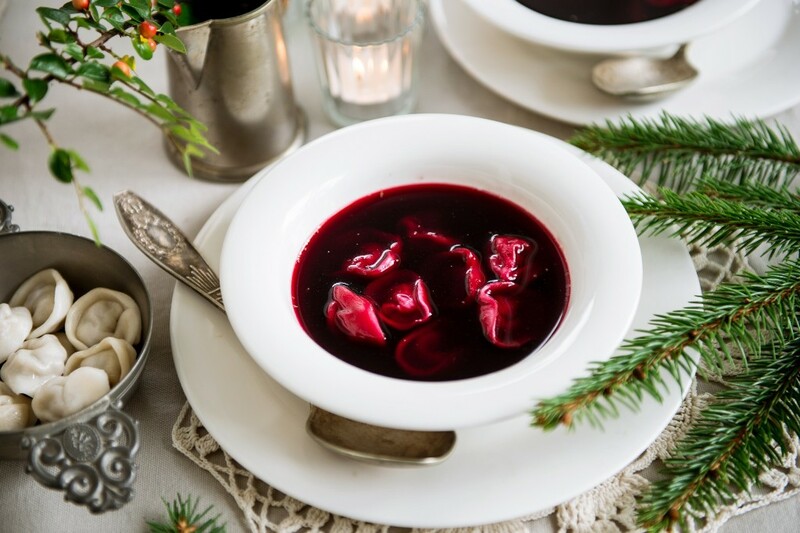 There are many varieties of borsch: horseradish, sorrel, and Ukrainian (with vegetables), though the most popular type is made with beetroot. You can order it in any restaurant, and it is frequently served with croquettes. A perfect dish to warm you up in the winter. 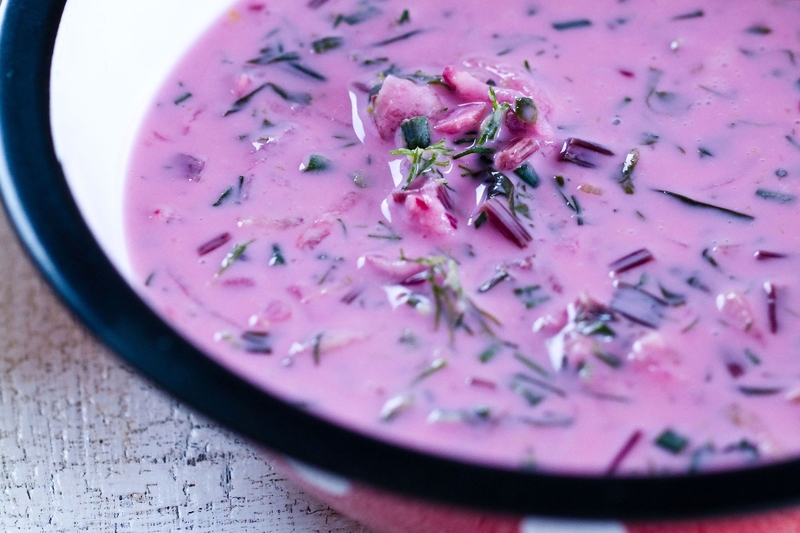 This soup is quintessential Polish cuisine. 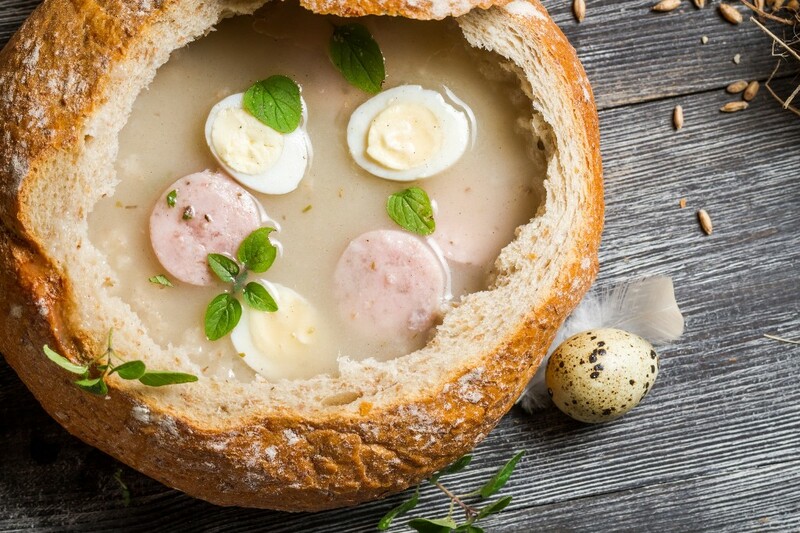 It is made of meat broth leavened with rye sourdough and served with a boiled egg and white sausage. The dish is very filling and can serve as an entire meal. It is also a traditional part of the Easter breakfast menu. This is a typical summer soup, as it is served cold. Chłodnik is made from whey or kefir with fresh chopped vegetables: radish, cucumber, chard, and dill. When the weather is hot, every Polish restaurant has chłodnik on its menu. It is perfect for enhancing your appetite for a more filling main course. There are also new types of this soup, with avocado, for example. 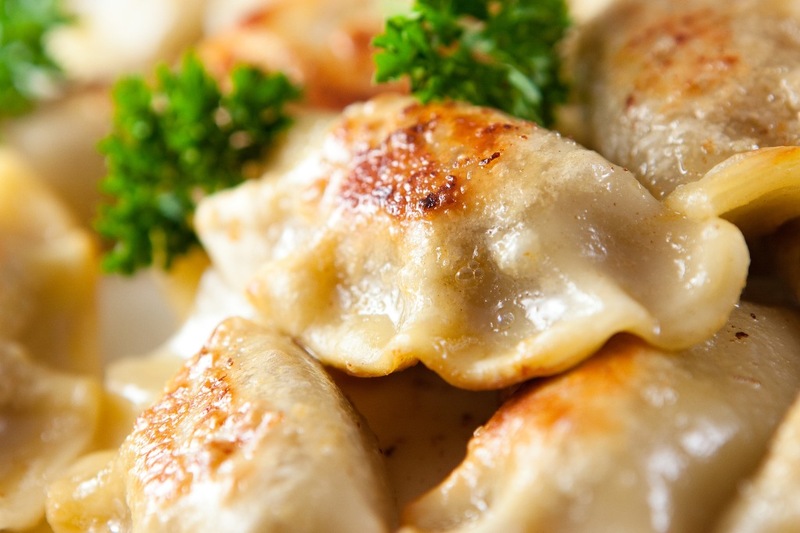 When you think of Polish cuisine, you think of… pierogi! Fair enough, as there are so many varieties of this traditional dish: with meat, cabbage, mushrooms, fruit, potatoes, cottage cheese or grits. New types have also appeared: with feta cheese, spinach or mozzarella. You simply have to have pierogi on your menu! This dish is a staple of every Polish home, and its popularity does not seem to be waning. If you want to eat what Poles eat, have a pork chop. 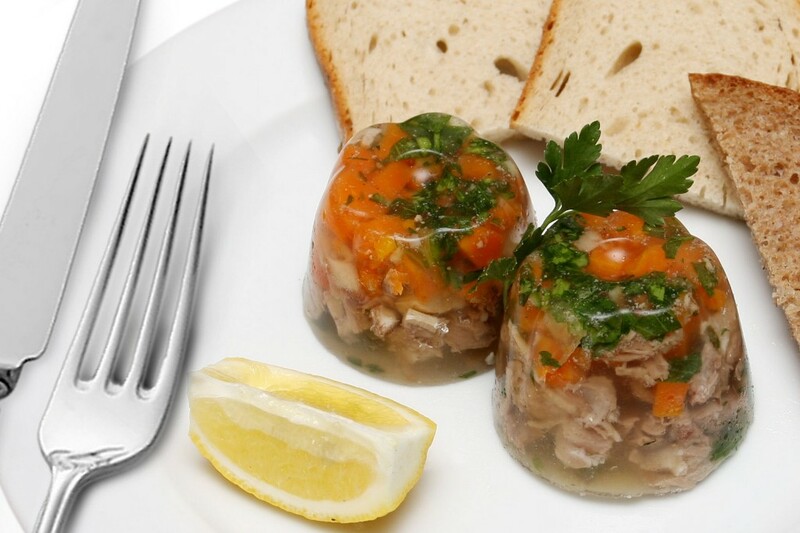 Any restaurant serving Polish food will have this on its menu in one of its many variations. 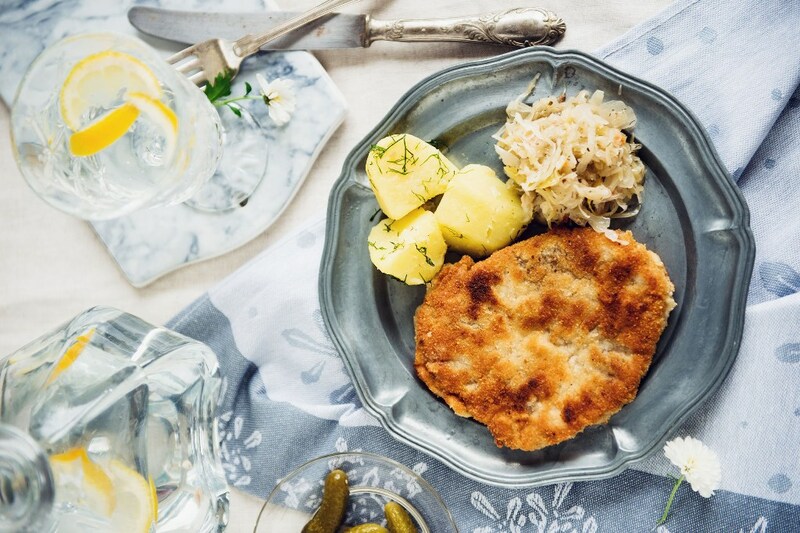 Now don’t peck at your food – have a go at this true Warsaw dish! The aromatic, slightly spicy broth hides the surprisingly delicate beef giblets. Tripe is best in the wintertime, when you need to warm yourself up and recharge your batteries. This cult cake is as Warsaw as it gets. Its name comes from the W-Z Drive built right after World War II that runs under the Old Town. The cocoa pastry with layers of milky cream simply melts in your mouth and is an absolute must on the menus of all traditional cafés. 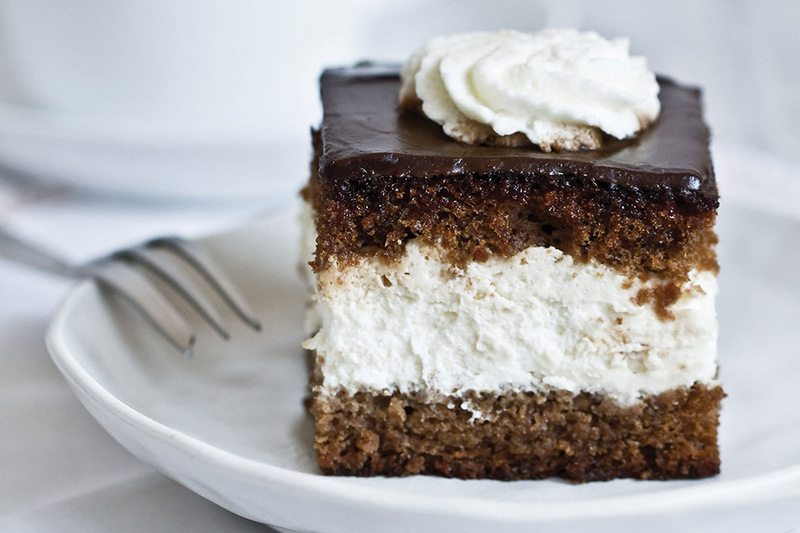 This is another genuine Warsaw cake whose origins, however, are a bit more modern. 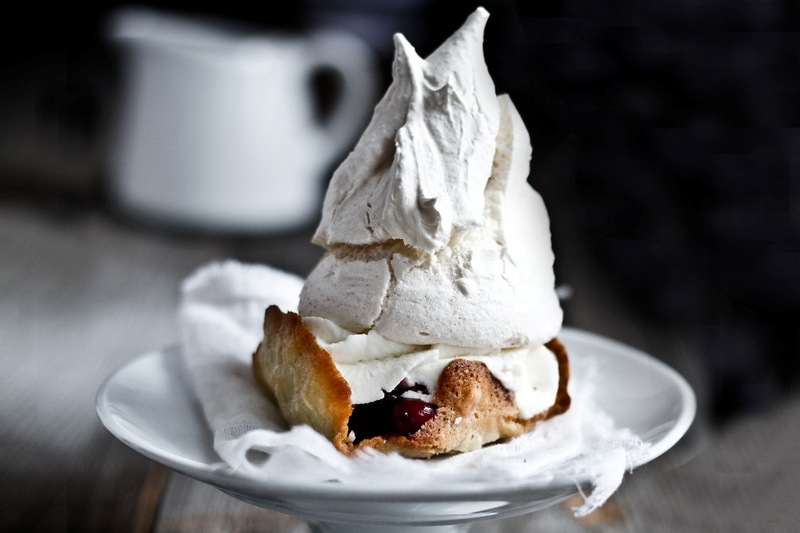 The ingredients include almond pastry, chocolate mousse, cranberry jam, whipped cream, and meringue. The name is derived from King Sigismund III Vasa, a statue of whom is mounted on the column in Zamkowy Square. One of the most famous Polish chocolate factories has been functioning continuously for many years in the Praga district. When passing by, you are bound to be tempted by the beautiful aroma. Wedel, however, is particularly well known for its hot chocolate cafés and atmospheric chocolate stores. 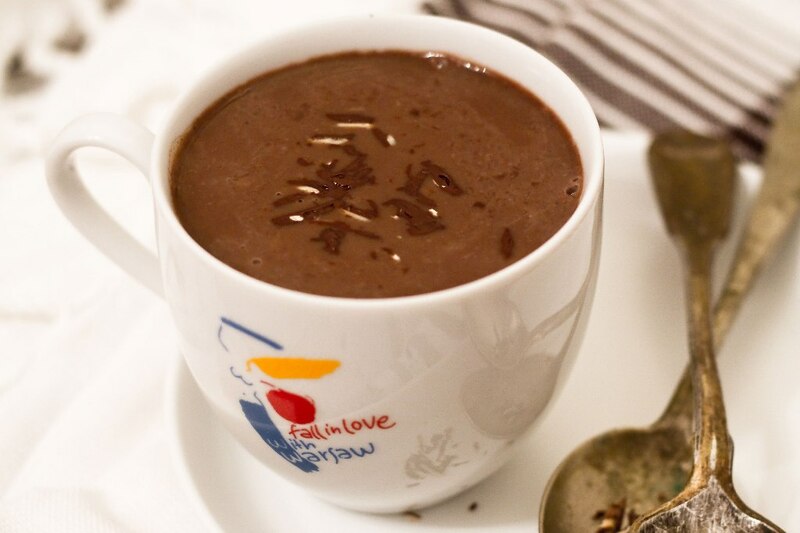 Have a cup of hot chocolate, either classic or in one of many interesting flavours. Try “bird’s milk” pralines or the classic Wedel chocolate cake to go.